The Quran is, as Muslims believe, a revelation from Allah sent down as guidance for humankind irrespective of space and time. Ironically however, it does not suggest any set of religious authorities to mitigate the understanding of this revelation. Rather, in hundreds of verses, it speaks to the individual Reader who appears in the text as the singular, second person ‘you’ (‘ka’ in Arabic). It is traditionally assumed this Reader is Prophet Muhammad himself although there is nothing in the text to suggest it. When the Quran wishes to talk about Muhammad specifically, it uses the very word ‘Muhammad’! Bearing this universal readership in mind, we can therefore assume that the Author of the Quran expects readers of a variety of cultures and traditions to read and interpret it. It should then come as no surprise when alternative readings emerge. For me personally, the Quran must be interpreted in the most universally applicable way possible. This is because of my understanding Chapter 17 Verse 9 which tells me that the Quran guides to that which is most established. Hence the more applicable it is to me, the more correct the understanding. Although I am culturally attached to the Traditional understanding of fasting and Ramadhan - I fast alongside Traditional Muslims - I do not believe that theirs is the most effective understanding. The most effective understanding is that which is universally applicable and aids us in our human evolution. The information in the Quran related to fasting and Ramadhan is in five verses, 2/183-187, in a particular passage, 2/183-207. In this passage, practical steps are provided in order to make society peaceful yet robust. This feeds into the overall theme of Chapter 2 itself which is the journey towards our earthly utopia. Fasting, discipline and restraint are part of this journey. In order to arrive at this universal understanding, we do not require any kind of logical gymnastics whatsoever. Rather, all we have to do is look at the meanings of the words from ancient sources of the Arabic language and compare these meanings to the very same words in other Quranic verses. This cross referencing is predicated upon the assumption that the Quran is wholly consistent in its use of language. The part of the process which people may find controversial is the rejection of traditional meanings of words. Take for example the word ‘ramadhan’. In conventional Arabic language, saying ‘ramadhan’ would be enough to convey the meaning ‘the month of fasting in the Islamic lunar calendar’. This meaning is so universally recognized that to suggest anything else would seem unacceptable. However, the Quran itself does not suggest any lunar calendar and the meaning of ramadhan itself (which is 'extreme heat') does not seem to be taken into account since the lunar calendar does not coincide with the natural seasons, unlike the solar calendar. Another aspect of re-reading for a universal application is to take the position that the Quran is aiming for a greater metaphorical depth than what was clearly literal before. Traditional readers would naturally be suspicious of such a manoeuvre but it would not be the first time the Quran uses metaphorical language. A good example of this would be the phrase ‘nights of the fast’. The word 'night' is where there is absence of light (Chapter 36 Verse 37) and light is used metaphorically. Both Allah and the Quran itself are described as 'light' (24/35 and 5/15 respectively). It would therefore not be a stretch of the imagination to have the term 'night' used metaphorically as well. O you who have believed! Fasting is prescribed for you, as it was prescribed for those before you, so that you may preserve yourselves. Periods of preparation; but whoever among you is sick or on a journey, then other periods of preparation; and those who are able to do so a redemption by feeding a person in a state of stagnation; so whoever does good willingly it is better for him; and that you fast is better for you if you know. The acts of fasting mentioned in 2/183 are meant to be periods of preparation for the preservation of self and society. While fasting, one should also aim to feed and nourish people who are unable to grow, that is, in a state of stagnation. This brings about a state of good (the word ‘khayr’ is actually related to ‘takhayyar’ which is choice, hence ‘good’ here means to have plenty of choices). So this act of fasting gives one more choices either because we don't consume as much or through metaphysical providence. Where does this state of fasting take us? Here, we move on to 2/185. An obvious state of intense heat is the state in which the reading descended, a guidance for the people, clarification of that guidance, and the criteria. So for those who have witnessed this state of intensity in their fast, it means that they are truly fasting. Those who are ill or travelling, other periods of preparation should fast in other periods. Allah wishes for you convenience, not hardship, that you complete the preparations, and to magnify Allah for guiding you that you may be grateful. It would naturally come as a surprise to Traditional readers that I translated ‘shahru ramadhan’ as an obvious state of intense heat. I have decided to use the more literal meanings of the phrase because the traditional meaning was used due to the prevailing practices of the time (to fast in a certain month). This pre-Islamic practise is actually confirmed by hadith (alleged sayings of Prophet Muhammad). And when My servants ask you concerning Me, then surely I am very near; I answer the prayer of the suppliant when he calls on Me, so they should answer My call and believe in Me that they guided in the form of maturity. Made available you in the rest period of the fast is to interact with those who were not part of the process; they are an apparel for you and you are an apparel for them; Allah knew that you betrayed your souls (by doing so earlier) so He has turned to you and removed from you (this burden); so now be in contact with them and seek what Allah has ordained for you, and indulge your souls until the whiteness of the fasting lifestyle becomes distinct from the blackness of the restive one, then complete the fast till this rest again, and have not contact with them while you are those who cling to the states of submission; these are the limits of Allah, so do not go near them. Thus does Allah make clear His signs for men that they may preserve yourselves. I have interpreted the ‘night of the fast’ (laylah as-siyaam) as the rest period we earn after we have performed fasting satisfactorily, going for a metaphorical understanding. This is the period where we may interact in various ways with those who are not engaging in this way (our nisaa which means people who come later). This is something we need and although we may think we can keep up a fasting/restraining/austere lifestyle forever, we cannot and eventually betray ourselves. However, Allah in knowing this, has given us the permission to indulge ourselves during these rest periods and has written this for us. The word for ‘indulge’ (bashir) comes from the same root as ‘bashar’ or to be human and shows a state of human relief from stress. We are allowed to indulge ourselves until the states of fasting and indulgence becomes clear to us (as two separate threads or ways of life). This beginning the dawn of a new fast. We are then to fast towards a point where we earn this rest period again. We are not to indulge ourselves while we are devoting ourselves to states of submission, in other words, we are to focus on the creation of the social entity which enshrines the values of peace and justice. This then completes the fasting life cycle from 2/183 to 2/187. So in summary, fasting and restraint should be our way of life. It is a state of preparation and should be gradually increased in terms of intensity until we reach an obviously intense period. When that happens, we will thereby attain a measure of revelation and progress in our lives and simultaneously be closer to Allah. At that point, we have earned a period of indulgence which is meant to rejuvenate us. Notice that the verses after this point (2/188-207) deals with nation building and this project requires the physical robustness and mental fortitude which fasting can bestow. Fasting is therefore a key part in the Quranic path of development. Farouk A. Peru is a human being in the world. This is where his discourse begins and ends. He engages with his human condition by studying Quran which he considers to be Allah’s descriptions and prescriptions for human being. 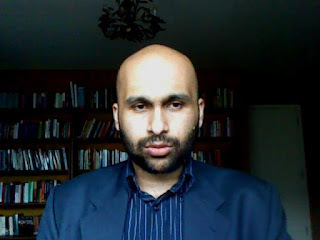 Farouk is also a novice academic whose interests include the study of Quran according to its author. 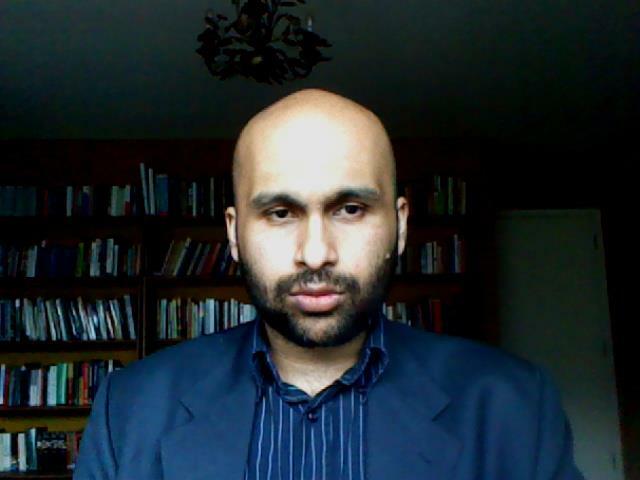 He is an Islamicist who focuses on Islam as a world study, Islamofascism and Quranist Islam. He is also interested in Philosophy where he hopes to build on Heidegger’s philosophy of being. Previous piece for Interfaith Ramadan 2014: Other Faiths or Other Paths?